Hi. I'm Carmelo. I have a degree in Accounting and have worked for over 30 years in the Financial Operations field. 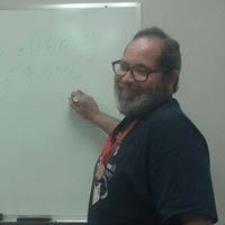 I have been a tutor for Business Math and Accounting at Reading Area Community College since 2014. One of the most satisfying moments while tutoring, is when a student say "Oh!! Now I get it!" Between studying, working and tutoring, I have come up with some shortcuts, tips and tricks, to overcome some of the pitfalls of learning Business Math and Accounting. Feel free to message me so we may discuss your needs and how I may help you. I have worked at several brokerage firms, banks and financial agencies in many cities. I worked in most areas of finance and specialized in account reconciliation, including Financial Accounting. I have worked at several brokerage firms, banks and financial agencies in many cities. I worked in most areas of finance and specialized in account reconciliation, including Managerial Accounting.